One of the best ways to think of a relationship on the rocks is to reflect on your expectations for your relationship. What are they? What is it that you really want from your partner? What could your partner do now that would — from your point of view — make the relationship work again? Make a comprehensive list, and pay special attention to what you now recognize your unique issues to be. If your partner were to compile a list such as the one you just did, what would he or she be asking of you? Compose a list of what you think your partner’s responses would be, then take each of these answers individually and ask yourself what you would be willing give up, give in to, or change about yourself in order to accommodate your partner. What are you now willing to do that you may not have been willing to do before, in order to save your relationship or simply to make the climate better? Many believe in a variation of the idea, “If only I had the right relationship, my life would be totally complete.” But then once involved, the expectations sometimes become so high that in the end, no relationship could possibly meet them all. Thus, it turns into a source of unfulfillment. That’s why it’s important for you to identify and very carefully reflect on what your relationship expectations are. For example, perhaps you tell yourself that your partner should always “be there for you.” Yet, when you look realistically at this request (or demand) you can see how tall an order that expectation can be. Can you always “be there” for your partner? Being realistic goes a long way. When thinking about how your partner would respond to those same questions you’ve answered for yourself, be empathetic or tuned in to what your partner feels. Remember, that if you are working on these questions in private, there is no downside to reflecting on them in the privacy of your own mind, with total honestly. Beware of what I have long called the “Soul Mate Syndrome,” which is fueled by the highly unlikely idea that your partner should effortlessly be a perfect match for you in every way. I know of no relationship that perfect, because this is an impossible standard! Your expectations are highly personal matters; and nobody else really can what yours should be. But sometimes simply realizing how your expectations of your partner — and/or of relationships in general — have sabotaged you can make a huge difference. 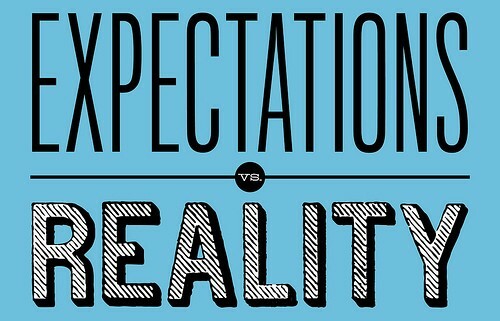 Most importantly, remember that expectations are in fact premeditated disappointments. 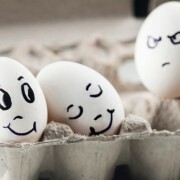 In other words, no expectations, no anger; reduce your expectations, increase the peace between you. 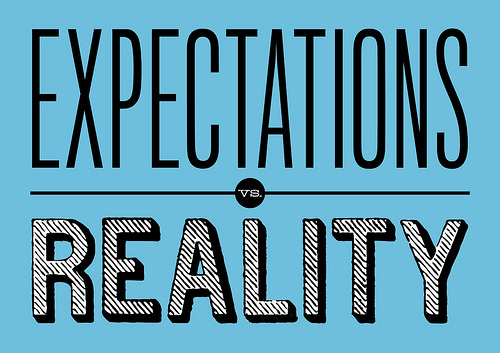 Managing your expectations together is rarely easy, but it’s that simple!